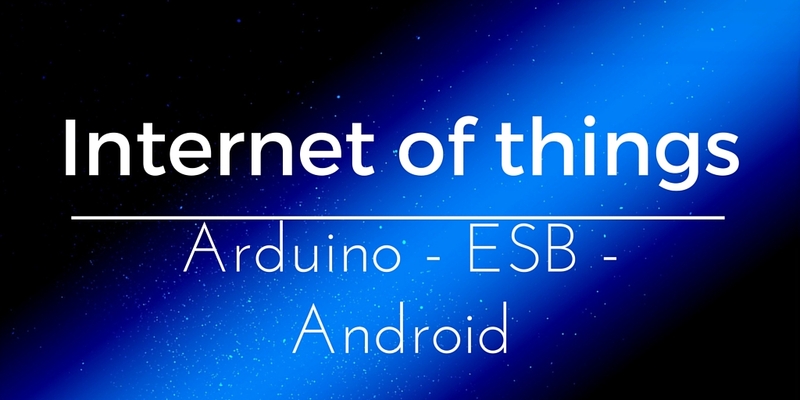 This project is an example of Internet of things: Arduino, Android, and ESB. Internet of things is one of the most emerging topics and one of the most discussed lately. What is Internet of things? When talking about IoT, we mean a set of smart objects that are connected together and can exchange information. In this way, it is possible, for example, to create a sensor network and we get information from them using our smartphones. In this world, Arduino plays an important role, because it is a low-cost system that can be used in several contexts. In the previous post, we talked about a simple project that uses Arduino and Android to control a remote led. This post shows a different approach and the Android smartphone does not connect directly to the Arduino and its sensors but uses a component that decouples the Android client and the source of information (Arduino). Recently i came across an interesting article explaining the IoT architecture. This architecture is quite complex and general purpose, i want to simplify it using just some components. 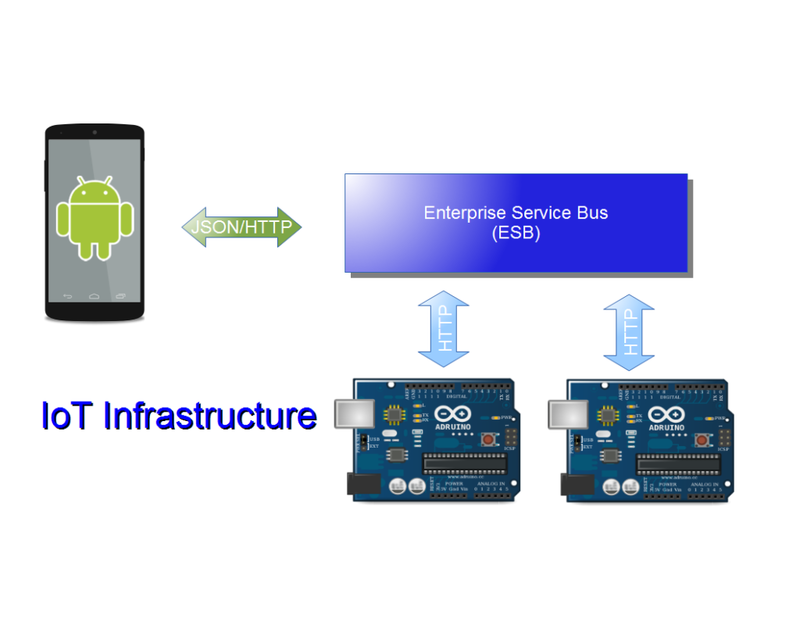 Instead of connecting directly the Android smartphone to the Arduino, i used a component called ESB (Enterprise Service Bus). In this case, my preference is for WSO2 ESB because it is an full open source project and it fits perfectly in the IoT ecosystem. 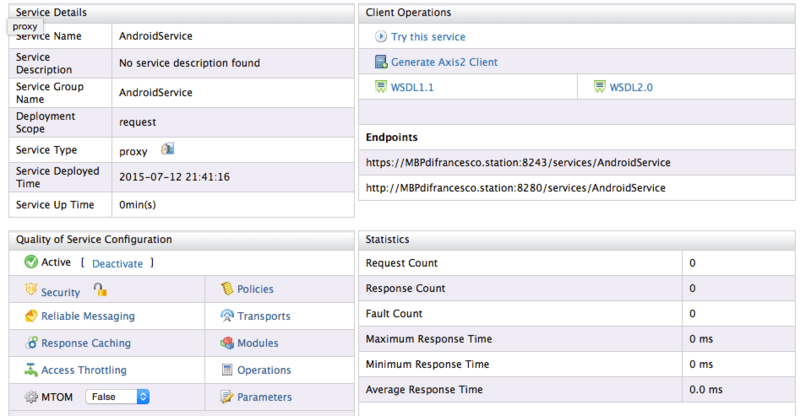 Moreover, WSO2 proposed the reference architecture. Why should we use an ESB in IoT? We can connect to several Arduino board and we want to have a single entry point that can route the request to the right board. Using an ESB, we can move some logic from Arduino board to the ESB, leaving to the Arduino only the “electronic” tasks. For example, we could use Arduino to monitor the indoor temperature but we don’t want to add authentication logic or some other controls. In the picture, inside the ESB it is implemented a custom proxy. A proxy is a component that lives inside the ESB and hanldes incoming request from external resources. 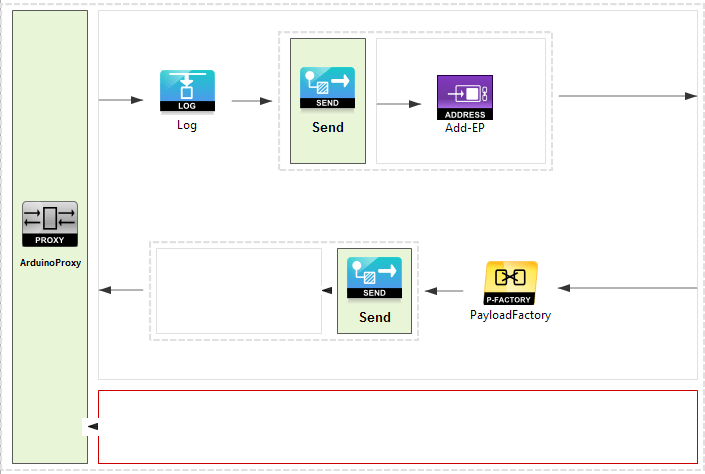 Using a proxy, it is possible to transform the incoming request send it to the destination and then read the response and transform it back. 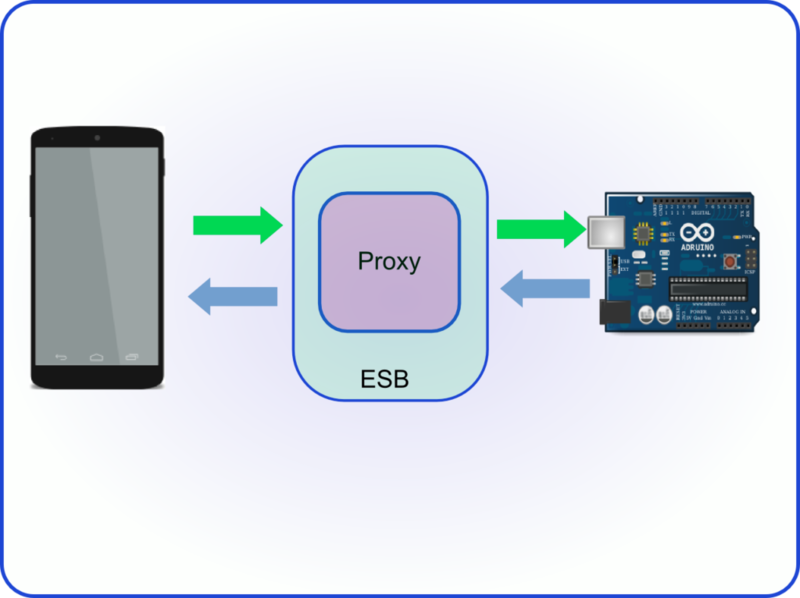 In our case, the source that creates the request is the Android smartphone that sends the requests to the Proxy (ESB) and the destination is the Arduino board. In the next post, we will start to analyze how to create all the components and how we can make them talking. By now, if you want to set up WSO2 ESB you can go here and install the app. In this post, you get a basic knowloedge of the internet of things definition and how to start coding applications of internet of things. This post describes how to monitor Arduino sensor using the application of the IoT reference architecture. 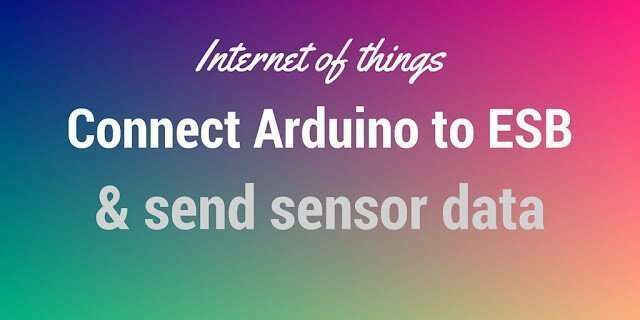 What if we want to read a remote sensor connected to Arduino board using our smartphone? As explained previously, we can connect directly our Android smartphone to arduino and read the sensor data or we can use a different approach where there is an Enterprise Service Bus (ESB) that stands in the middle between the arduino board and the smartphone. Even if the system is a little bit more complex as stated in the previous post using ESB we have a lot of advantages. The first thing we do is implementing a proxy that lives in our ESB that handles the incoming connection from the Android smartphone on one side and on the other side handles HTTP connection toward Arduino board. The proxy is ready now to accept an incoming connection and we will monitor Arduino sensor. 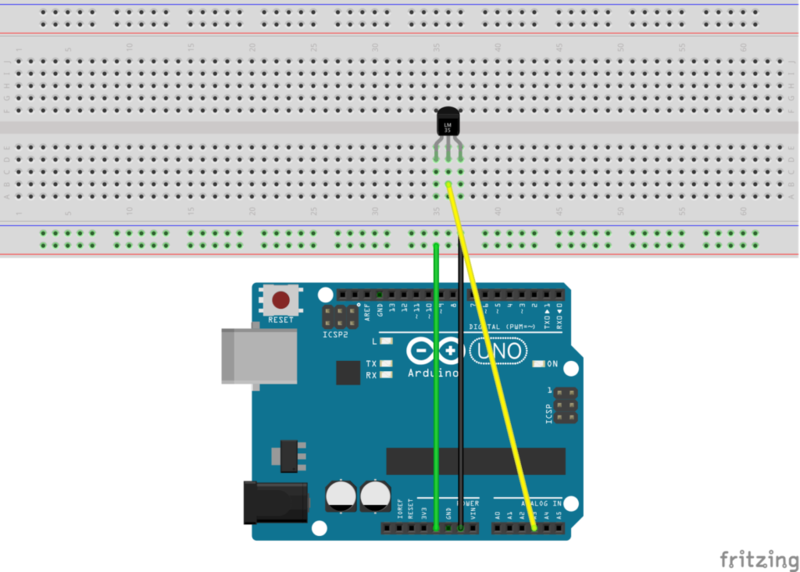 It is time to implement the Arduino sketch that reads the temperature sensor and makes the data available using a web server. Of course, to make the project working it is necessary to have an ethernet shield. The code is very simple, arduino board reads the temperature sensor using the analog PIN and when the arduino web server receives an HTTP request, it responds with the temperature sensor value in an XML format. Finally, it is time to implement the android app that makes an HTTP request toward ESB and read the temperature sensor data using arduino board. The android app is very simple, it is implemented using material design so it as a Toolbar and the temperature value. At the end of this post, you know how to monitor Arduino sensor from your smartphone using an ESB proxy.